A sensational sparkling gold plated timepiece by Citizen. 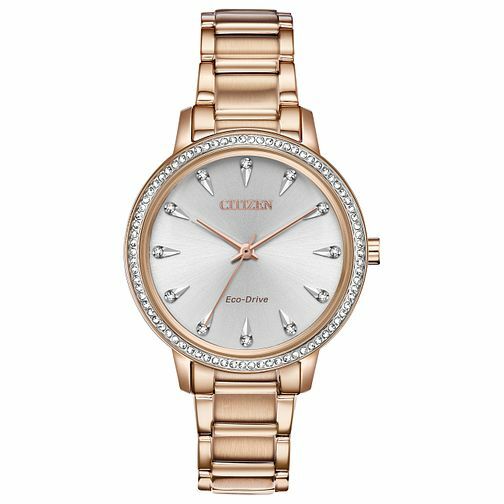 This ladies' watch boasts a pure white dial with three slimline hands powered by award winning eco drive technology, and arrow hour indices accented with shimmering swarovski crystals. A beautiful display of set stones sit upon the co-ordinating surrounding bezel, perfect for the stylish lady!